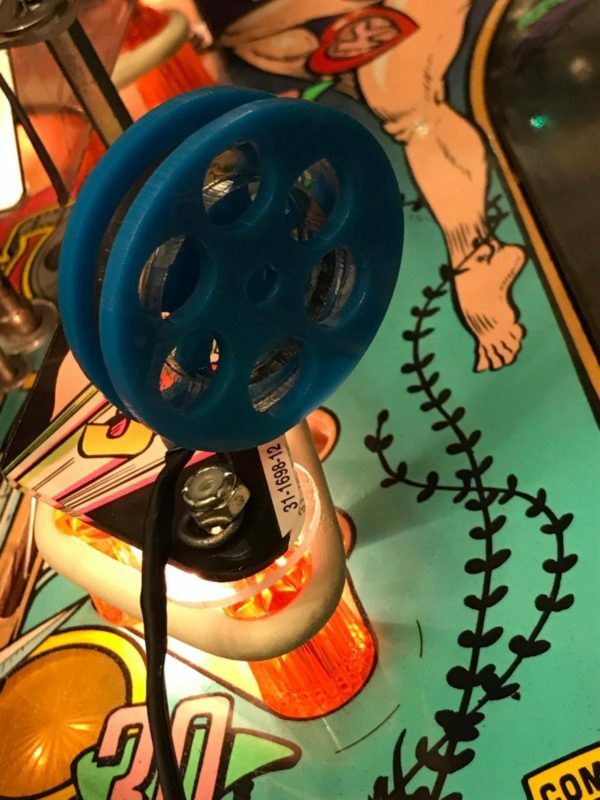 The movie reel is custom designed to Creature from the Black Lagoon. This mod matches the graphic of a movie reel that’s on the playfield and various other places on the game. 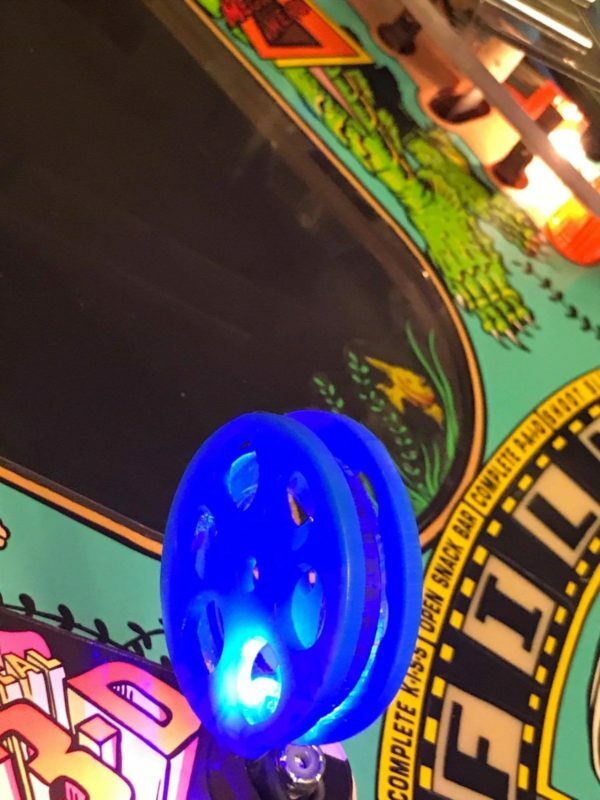 Because our mods are handcrafted, lighted and colored, there may be a very slight variation from mod to mod. 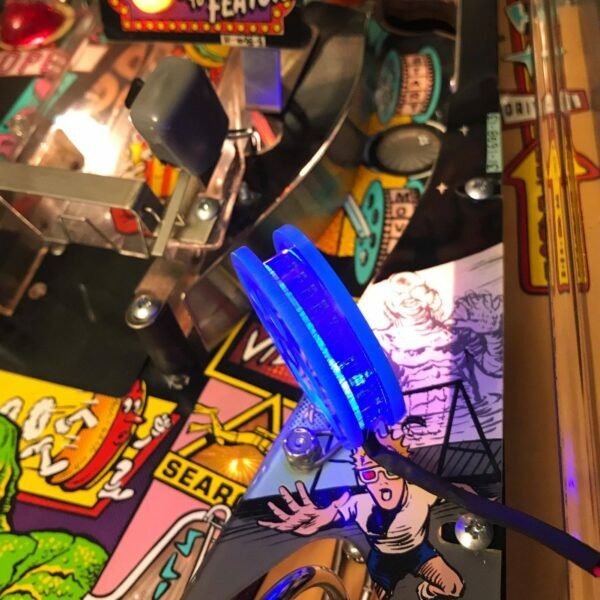 Our mods come with lights, instructions and everything needed to install in game. 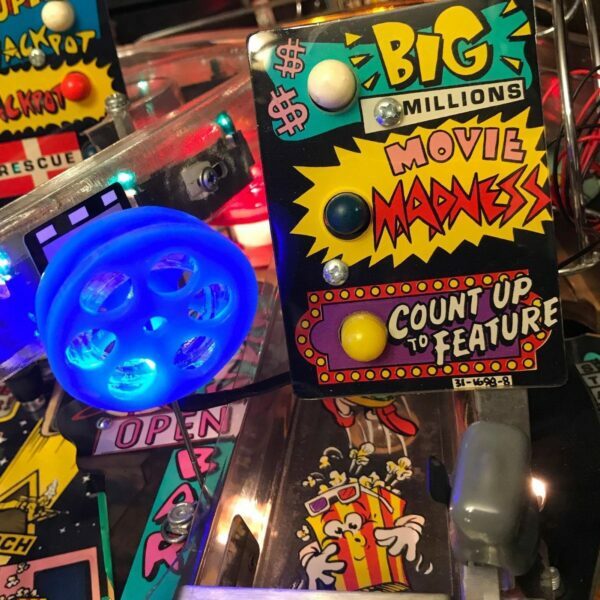 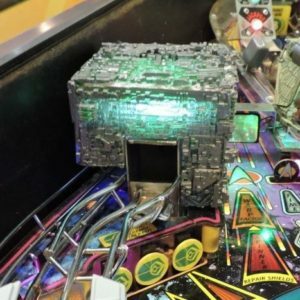 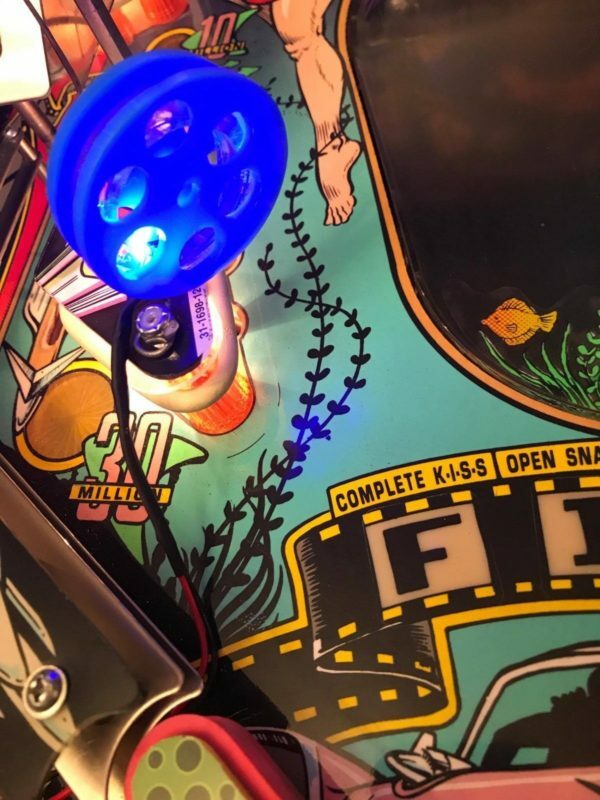 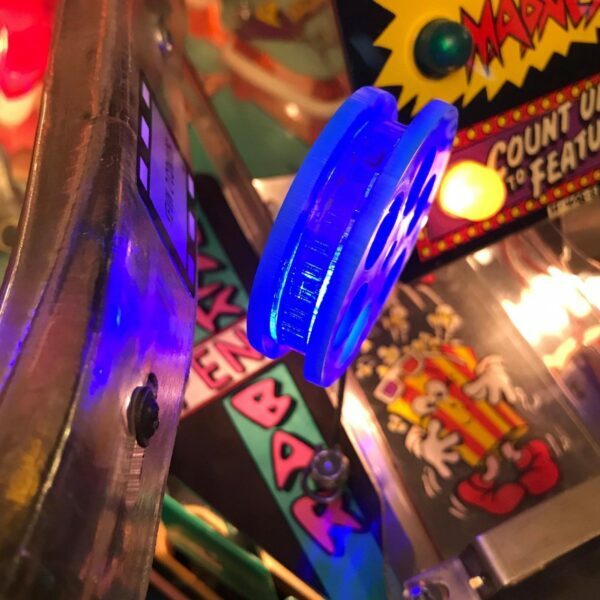 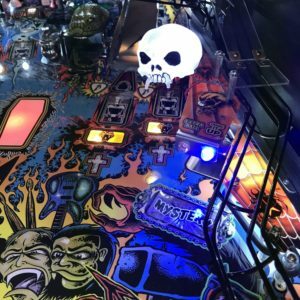 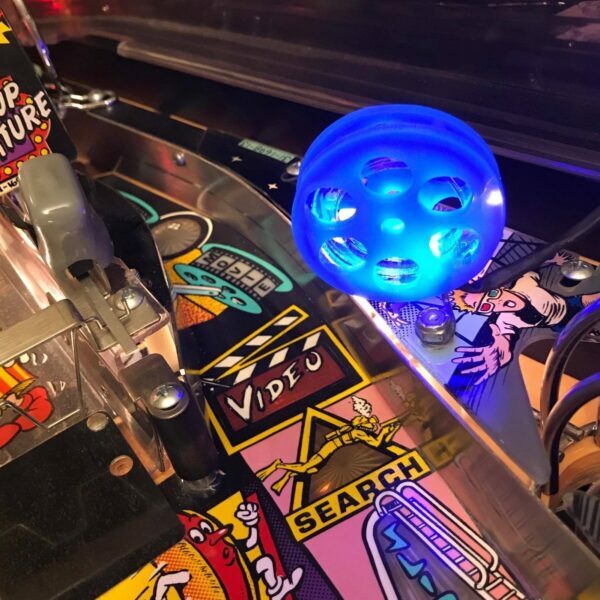 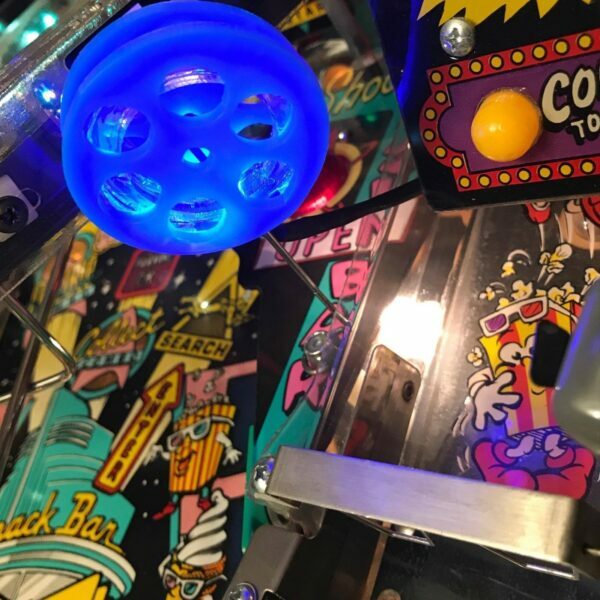 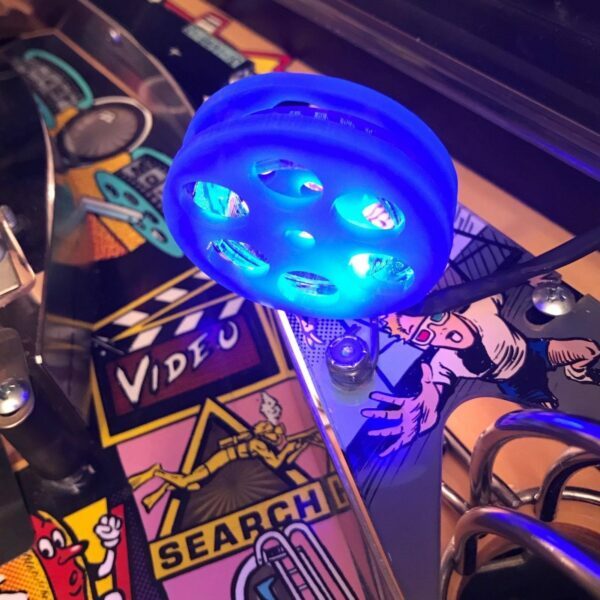 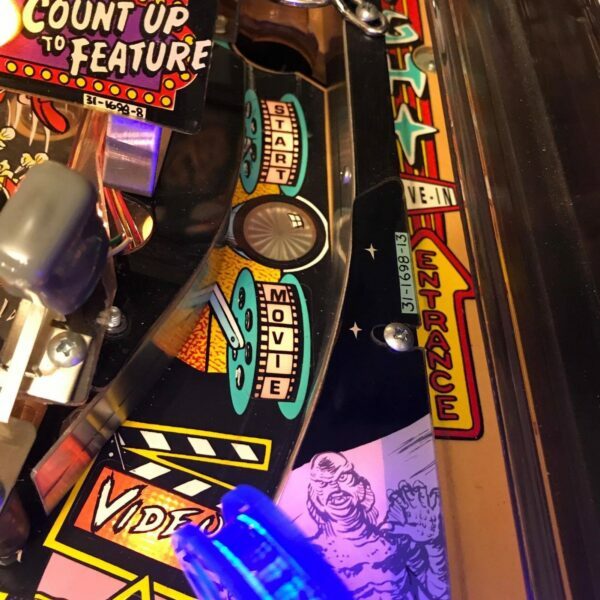 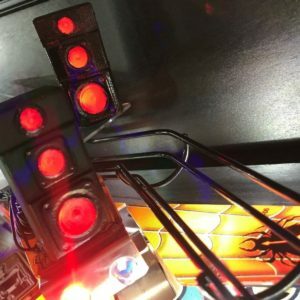 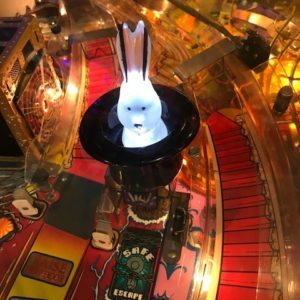 These mods are also handcrafted from high impact crystal clear resin which means that this is going to give you a glowing effect that has not been possible with pinball mods before.